Natural disasters including droughts, floods and earthquakes cost China 421 billion yuan ($69 bln) in 2013, official data showed on Monday, nearly double the total in the previous year. China has always been prone to natural disasters but a changing climate is causing more extreme weather, which hits food production, threatens scarce water resources and damages energy security, according to the government. 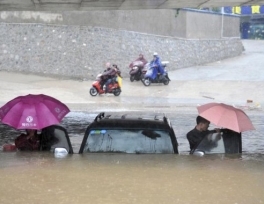 Data released by the National Statistics Bureau showed flooding and mudslides cost China 188 billion yuan in 2013, 20 billion more than in the previous year. Damage from droughts rose nearly fourfold to 90 billion yuan, while snowfall, freezes and ocean-related costs totalled more than 42 billion yuan. Earthquakes, primarily one in Sichuan province in April that killed 186 people, added nearly 100 billion yuan to the costs. 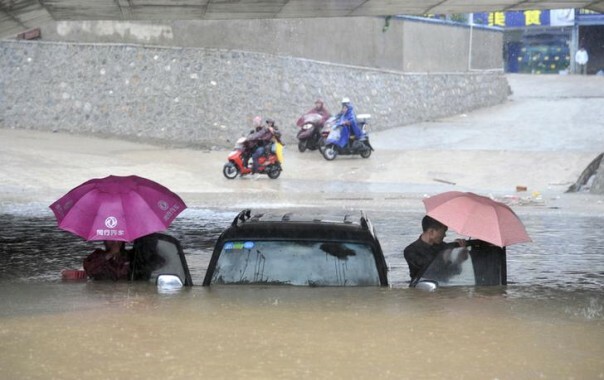 "In recent years, China has seen a combination of floods and droughts simultaneously, with the rain belt moving north past the Yangtze River," Zhu Congwen, a researcher with the China Academy of Meteorological Sciences told Reuters, speaking in a personal capacity. Northern China is seeing more droughts while typhoons are arriving earlier, wetlands drying up and sea levels rising, the government said in a report last year. Some regions in China, such as the southern province of Yunnan, are in their third year of crippling droughts. In August last year, an extended heatwave across six provinces in central China meant crops from 900,000 hectares (2.2 million acres) of farmland failed and 13 million people had no easy access to drinking water. In the same month, record rain - in some areas the most heavy in more than 100 years - and storms killed more than 100 people and caused huge floods in the northeast and northwest. Last year's disasters were not as bad as 2010, when record flooding killed more than 1,000 people and led to 15 million being forced from their homes. But the trend is for an increasing impact from wild weather. In December, the government said it was poorly prepared to tackle the impact of climate change and released a plan identifying main areas for improvement in a bid to limit damage. Infrastructure, agriculture, water resources, coastal zones, forests and human health were listed as priorities. China is the world's biggest emitter of greenhouse gases, which scientists say cause climate change, but has pledged to cut its emissions to 40-45 percent per unit of gross domestic product by 2020 compared with 2005 levels.